Top Online Schools with Sports Management Degrees in the U.S.
Management (including sports management) is a growing industry that the Bureau of Labor Statistics (BLS) says is driven by the formation of new organizations and expansion of existing ones, which should require more workers to manage these operations. For the 2016-2026 decade, the BLS reposts that employment in the management industry will increase by 8%, which is about as fast as average for all occupations (7%). The increase will result in an impressive 807,300 new jobs by 2026, in a field that’s already more than 7.2 million strong. Earning potential sounds promising as well. While average earnings for managers will vary by sector, overall, those working in management occupations can expect to average around $102,590 annually. The BLS reports that high performers can expect to earn $150,000 or more annually, depending on industry and location. For example, those working in the Securities, Commodity Contracts, and other Financial Investments and Related Activities average $193,690 annually, while those working in Other Information Services average $171,470 annually. However, for the most employment opportunities, in addition to New York, aspiring sports management professionals should consider California, Texas, Illinois, and Florida. To get there, you will need a degree from an accredited school. We’ve identified below five top schools for aspiring sports managers. Besides accreditation, these schools are popular in both the academic and professional worlds, they offer master’s degree programs in sports management and all programs are offered online. The programs on our list are arranged in alphabetical order, beginning with American Military University. Founded in 1991, American Military University (AMU) is part of the American Public University System (APUS), which serves around 48,625 students. AMU offers more than 200 undergraduate and graduate degrees and certificates through seven schools including Arts & Humanities, Business, Education, Health Sciences, STEM, Security & Global Studies, and Graduate Studies. The School of Business offers three programs for aspiring sports managers including a BS, MS and an 18 credit hour Graduate Certificate in Sports Management. Per the school, the BS in Sports Management is designed for student seeking careers in “sports management, coaching, and administration in collegiate, community or high school sports.” Course highlights for the 120 credit hour program include Athletic Programs Administration, Contemporary and Social Issues in Sport, Ethics in Sports, Sports Communication, Sports Finance, Sports Governance, Sports, Law, Risk, and Regulation, Sports Management Foundations, and Sports and Recreation Facility Management. All BS students will complete Senior Seminar in Sports Management—the final program requirement. The 33 credit hour MS in Sports Management is popular among those interested in pursuing careers in interscholastic or intercollegiate coaching, sports management, or front-office management. Students in the program will have the option to choose a concentration in one of three areas including Coaching Theory and Strategy, Interscholastic Athletic Administration or Sports Business Leadership. Students in Sports Business and Leadership will take Leadership and Management in Sport, Sales and Promotions in Sport, and Sports Entrepreneurship. All students will take 21 credit hours of core requirements such as Critical Thinking in the Sports and Health Industries, Sports Event Management, Sports Finance, Sports Marketing, Promotion, and Public Relations and The Sports Industry. The program ends with either a Sports Management Capstone or Sports Management Practicum and Integration Project. The Practicum satisfies six semester hours of elective requirements and students may choose either option. As part of the American Public University System, American Military University is accredited by the Higher Learning Commission (HLC) and is a wholly owned subsidiary of American Public Education, Inc. (APEI). Also as part of APUS, the business school at AMU is accredited by the Accreditation Council for Business Schools and Programs (ACBSP). Established in 1979 as Full Sail Productions, Full Sail University offers arts, entertainment, media and technology programs to 15,000 students across 210 acres of campus space, including 110+ studios and labs. Around 93 program options lead to an associate's, bachelor’s, or master's degree. Among these programs is an Online MS in Entertainment Business with a Sports Management Track that takes just 12 months to complete. Per the school, the program is designed to prepare students “for an industry that stays competitive far beyond the playing field.” Students in the program will “learn strategies of top executives and explore advanced topics ranging from contract negotiation and financial planning to sports marketing and sponsorship.” Course highlights for the program include Business Storytelling and Brand Development, Entertainment Business Finance, Executive Leadership, Legal Issues in Sports, Mastery: Personal Development and Leadership, Negotiation and Deal Making, Sports Management Operations, and Sports Marketing and Sponsorship Sales. Students will also complete Final Project: Business Plan. Business Plan is a comprehensive academic examination of a topic selected by the student. The project encompasses academic objectives and concepts learned from each course in the degree program. In their final course, students complete the written business plan and present the plan to faculty and peers. The completion of the Final Project Business Plan is a requirement for graduation. Full Sail University is Accredited by the Accrediting Commission of Career Schools and Colleges (ACCSC) and licensed by the Commission for Independent Education (CIE), Florida Department of Education. The ACCSC is listed by the U.S. Department of Education as a nationally recognized accrediting agency. Founded in 1949, Grand Canyon University (GCU) serves 19,000 students on its main campus in Phoenix, while more than 70,000 students attend GCU Online. The school offers hundreds of programs through nine colleges, including Colangelo College of Business. 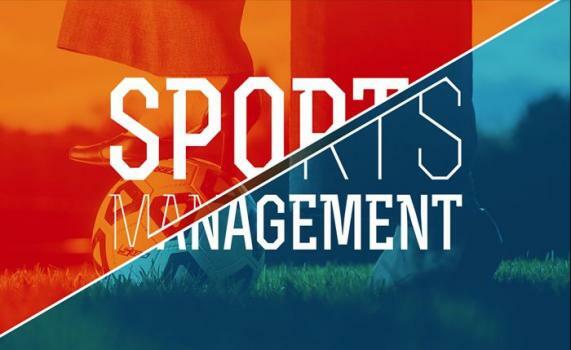 Here, aspiring sports managers can earn a BS in Sports Management or an MBA with an Emphasis in Sports Management. The BS in Sports Management is a 120 credit hour program that consists of 8-week courses in the areas if finance, leadership, marketing, and law. Per the school, the program is “based on both general business principles and those specific to sports management.” As such, the degree is “a combination of both academic and practice experiences. These experiences are based on the core program domains identified by the Colangelo College of Business.” They include, Business Communication and Critical Thinking Skills, Information Literacy and Data Analysis, Business Operations and Environments, Legal, Ethical and Values-Driven Business, and Sports Management. Students in the program will learn about sports media, sports analytics, event planning for athletic events, including budgeting, site selection and facility management, marketing, including digital, social media and graphic design, and revenue generation, including merchandising and sales. Graduates of the program are prepared to take on work at the amateur, collegiate and professional sports levels. Possible careers include sports merchandising, guest relations, sports marketing, event planning, and athletic administration. The 54 credit hour Online MBA in Sports Management covers Sports Business Analytics, Sports Business Revenue Generation, Strategic Management, Applied Business Probability and Statistics, and Leadership and Organizations. Students will also explore digital technologies, such as social media platforms, and how they are applied to the global business environment. Classes are eight weeks in length and include everything from Accounting and Applied Business Probability and Statistics to Quantitative Methods and Operations Management. Graduates of the Sports Management are prepared to seek positions working for athletic representation agencies, professional sports organizations, universities or media entities. Some of the jobs in sports that may be related to this degree include the following sports manager, public relations manager, ports marketer, chief executive, and talent manager. Grand Canyon University has been accredited by the Higher Learning Commission (HLC) since 1968. GCU is also licensed in Arizona by the Arizona State Board for Private Postsecondary Education. Colangelo College of Business is accredited by the Accreditation Council for Business Schools and Programs (ACBSP). Established in 1868, the State University of New York at Cortland (SUNY Cortland) is part of the State University of New York system. The school serves nearly 7,000 students enrolled in more than 100 programs through three schools that house 27 departments. Schools include the School of Arts and Sciences, the School of Education, and the School of Professional Studies, which houses the Sport Management Department. Here, students can earn an MS In Sport Management with three different programs: Traditional, Online, and International Sport Management. Per the school, the Online MS in Sport Management is designed for students “who are interested in working in sport and are either currently employed or are unavailable to take courses on campus and are looking to complete the program in an online setting.” The 30 credit hour program “has all the benefits of the on campus degree” including the same instructors, and same courses. Students will complete 24 credit hours of class work online, followed by a 6-credit Internship or Masters project (Thesis). “Internships provide actual sport management industry experience in specialties such as collegiate sport, professional sport (major and minor league), national sport committees, North American sport governing bodies, full-service sport marketing agencies and event management firms.” Past internships have included Madison Square Garden, the Carolinas Golf Foundation, the New York Islanders, and dozens of colleges and universities, among others. Sample courses for the program include Business and Finance of Sport, Policy and Strategic Management in Sport Organizations, Research Methods in Sport Management, Sport Enterprise, Sport Law, and Sport Marketing. SUNY Cortland is accredited by Middle States Commission on Higher Education (MSCHE). USSA offers three programs for aspiring sports managers including a BS in Sports Science (BSS) with a Sports Management Major, a Master of Sports Science (MSS) in Sports Management and the rare Doctor of Education (EdD) in Sports Management. Per the school, “all undergraduate degrees are upper-division programs.” Students will complete 60 lower-division credit hours (a minimum of 30 semester hours required by transfer to begin) and 60 upper-division sport-specific credit hours to obtain the BS in Sports Science with a Sports Management Major. Course highlights for the BSS program include Ethics in Sports, History of Sports, Introduction to Sports Security Management, Leadership Principles in Sports, Organization and Management in Sports, Personnel Management in Sports, Public Relations in Sports, Sports-Agent Business, Sports Managerial Accounting, Sports Promotion and Event Planning, Sport Art: The Artist and the Athlete, Sports Facilities Management, and Technology of Sports. The 33 credit hour online MSS allows students to pursue a combination of any of the master’s degree areas leading to a dual major, for a total of 42 to 45 credit hours depending upon the area of study. Students in the program will take many of the same courses as students in the BSS program, as well as courses such as Financial Aspects of Sports, Fundraising in Sports, Labor Relations in Sports, Sports Entrepreneurship, and Structure and Function of Professional and Amateur Sports Organizations. Graduate students will also complete three to six credit hours of Directed Individualized Study, nine credit hours of Mentorship, the nine credit hour Thesis, and the Master’s Portfolio. The 66 credit hour EdD in Sports Management “is designed to enable recent master’s degree graduates, working professionals and sports enthusiasts to achieve their personal, educational and professional objectives.” This unique program is “flexible and provides meaningful educational and technical preparation.” Course highlights include Computer Analysis in Sports, Effective Governance to Combat Corruption in Sports, Research Methodologies, Research Statistics in Sports, and Seminar in Sports Medicine Management. Doctoral students will also complete three to six credit hours of Directed Individualized Study, six credit hours of Doctoral Degree Mentorship, a 12 credit hour Dissertation, and the Doctoral Portfolio. Recent graduates of the doctoral program are college professors of Sports Management, private sport entrepreneurs and high school or college athletic directors. The United States Sports Academy is regionally accredited by the Southern Association of Colleges and Schools Commission on Colleges (SACSCC) to award baccalaureate, master's, and doctoral degrees. The Academy is also a member of the National Council for Accreditation of Coaching Education (NCACE), which promotes and facilitates coaching competence; oversees and evaluates the quality of coaching education programs; and accredits coaching education programs that meet its comprehensive standards. “11-000 Management Occupations (Major Group).” Bureau of Labor Statistics (BLS), United States Department of Labor, 30 Mar. 2018. Web. 09 Feb. 2019. “Management Occupations.” Bureau of Labor Statistics (BLS), United States Department of Labor, 13 Apr. 2018. Web. 09 Feb. 2019. Top Online Schools with Sports Marketing Degrees in the U.S.
Best Online Schools with Sports Marketing Degrees in the U.S.
Best Online Schools with Sports Management Degrees in the U.S.
Best Online Schools with Sportscasting Degrees in the U.S.